Printed eye masks are the perfect, lightweight gift for travel, hotel or relaxation themed events. 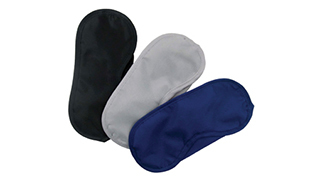 Promotional eye masks are also great for direct mail campaigns, tradeshows and as a gift with purchase. Lightweight, Nylon fabric.